Freemasonry teaches moral lessons and citizenship through participation in symbolic ‘plays’ which we refer to as ‘ceremonies’. After our Lodge Meeting we usually dine. This is referred to as the Festive Board. The formalities of the Lodge Meeting give way to less formal socialising over a meal. This gives the opportunity to converse with friends both old and new in the form of visitors from other Lodges. We have a Toast List which starts off with the Loyal Toast to the Queen and finishes with the Tyler’s Toast to poor and distressed Freemasons. If dignitaries are present they respond to certain toasts and inform those present about events in the wider District or Province. Whalley Masonic Hall sits in the Burnley and Pendle District of the Northern Area of the Province of East Lancashire. 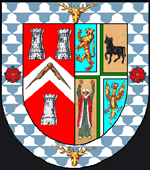 Freemasonry in England is governed by the Grand Lodge of England. 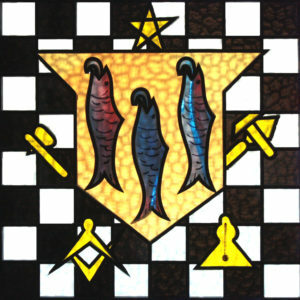 Our calendar shows when the individual Lodges are meeting at Whalley. Each Lodge or Chapter can be contacted individually via email. If you have a general enquiry please use our contact form. To ensure the symbolic ‘plays’ or ceremonies are performed correctly each Lodge or Chapter will hold Practice Evenings. Normally, two practice evenings are held prior to the actual meeting.